David Howell is based at his studio on the other side of the of the North York Moors and he paints in watercolour, oils and occasionally pastels. Most of his work is related to marine and landscape subjects, with occasional forays into equestrian racing pictures but he’s a great believer in that whatever the subject, all that matters is the quality of the painting. He exhibits widely throughout the UK, as well as the USA and the Middle East and his paintings hang in collections worldwide ranging from corporate boardrooms to royal palaces. David regularly writes articles for magazines and his book Painting with Oils which was published in 2014, has now been joined by Painting with Watercolour, both available from Crowood Press. His painting techniques are also featured in an APV Films video Just Watercolour. 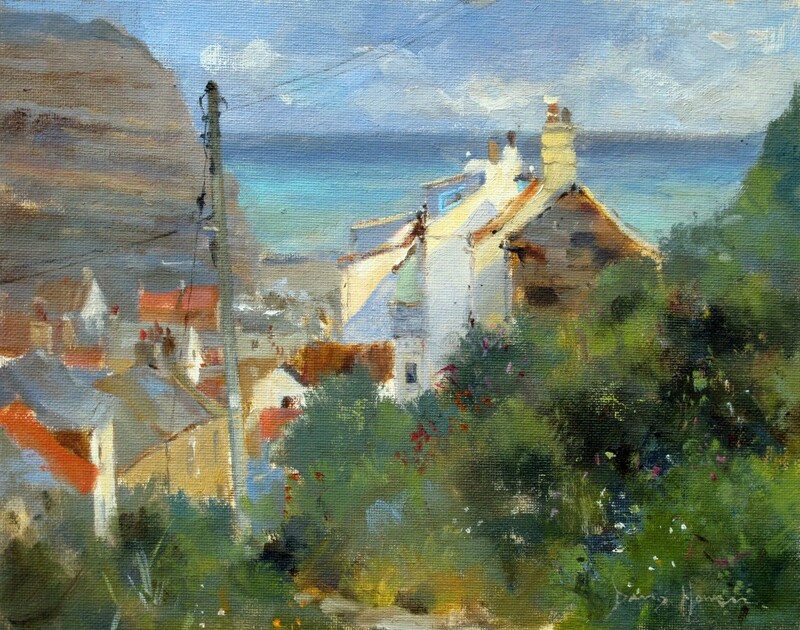 David is a member and past president of the Royal Society of Marine Artists and is an experienced and popular painting tutor. He regularly teaches in East Anglia and the Yorkshire Dales as well as further afield in France and Italy. He’s a familiar figure in Staithes and his painting weekends are thoroughly enjoyed by everyone who attends. Early booking is recommended.